The inevitable time has come, the dated look of your staircase is in desperate need of an update but where do you begin? Here is a helpful step by step to approaching your remodel project. 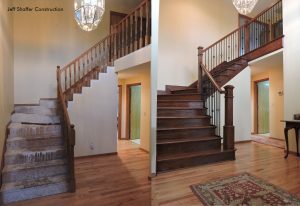 Do your research and set your budget– It is crucial to get a firm grasp on what you are getting into with a stair remodel. 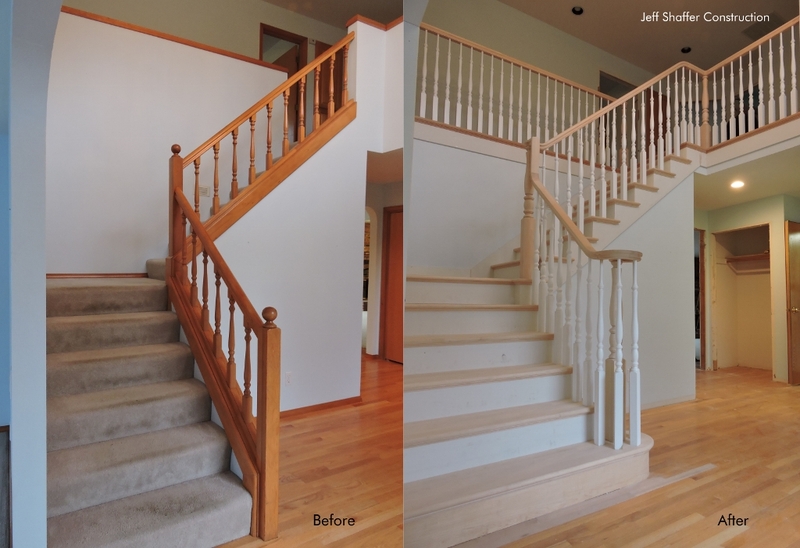 Pricing a stair remodel can vary in price depending on the scale of the project from the low end ($1000-$2000) up to the higher end ($10,000-$20,000+). Your budget is going to dictate how far you are going to be able to go with your update. If you are looking for a simple update on a low budget, you might consider painting your components, or potentially adding a carpet runner. If you are ready to go all in with a full remodel, set a realistic budget that should include materials & labor for installation and finishing. Am I looking to paint or stain my materials? Do I want all wood components, or a mix of other material such as metal or glass? Am I fully replacing the entire stair, or just some components like the handrail, balusters, or treads only? After the selection process is complete, you should be able to get a rough estimate for the cost of materials and applicable lead times. Keep in mind if you are looking to restore or reuse some of your existing stair components, stairs are assembled with a great deal of glue and hardware, because of this some components may not be salvageable. Also, what may seem like a simple update, such as replacing carpet with hardwood, could involve structural changes which could require a complete rebuild, including framing. Consult and hire a Contractor- We definitely applaud the ambition of today’s DIY’ers, however stair building and restoration is a highly specialized process that requires an advance degree of carpentry skill and proficiency. Because of this, we emphatically recommend hiring a professional to do your work. It is critical to look for contractors that have a history of stair building and can offer a portfolio of previous projects, it is also a good idea to verify this contractor’s license and any possible issues before hiring them. Do not be afraid to shop around get a few bids in order to narrow down your choice. Websites Houzz, Home Advisor, Angie’s List and the Construction Contractors Board (Oregon) are a great place to research local Contractors. We highly recommend this installation manual courtesy of Fitts Stair Parts, http://fitts.com/install.aspx. Local suppliers can often offer recommendations for preferred Contractors and are great resources when it comes to products and supplies but can’t necessarily offer installation advice. When in doubt, follow the Carpenter’s rule; “Measure twice and cut once”. Best of luck! We hope this helps you get headed in the right direction on your stair remodel journey. 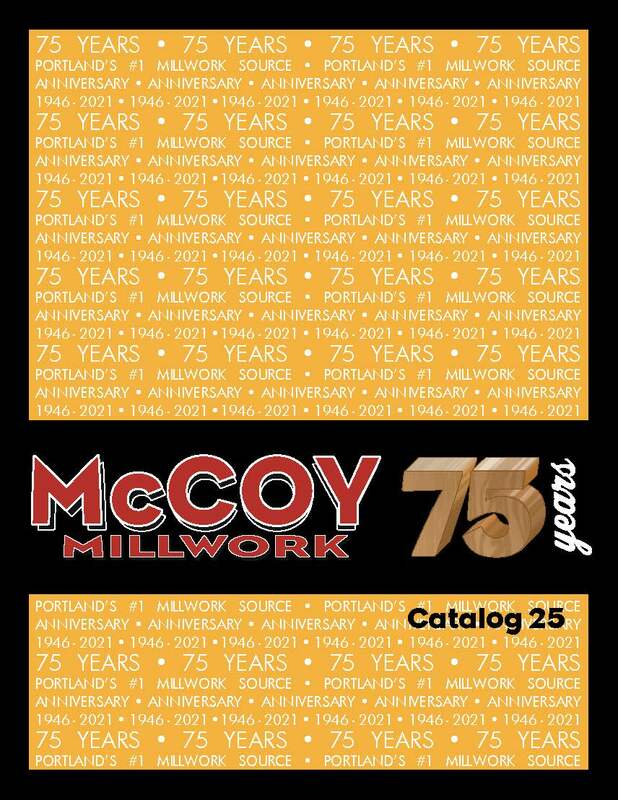 As one of the Pacific Northwest’s largest distributors of stair parts, McCoy Millwork, is available to answer any questions about your project, assist in material selection and refer licensed, local stair contractors. This entry was posted in Stairs and tagged remodel, stair installation, stair replacement.